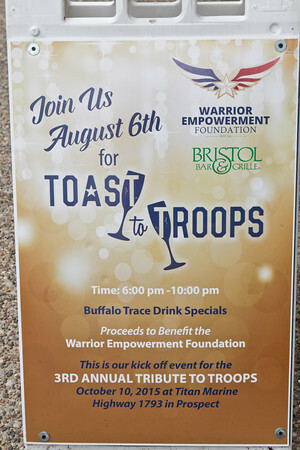 Guest bartenders served up drink specials from Buffalo Trace at the Bardstown Bristol Bar and Grille on August 6. The event was a planning session for the upcoming Tribute to Troops Benefit on October 10. Volunteer of America Veterans Program Donation!